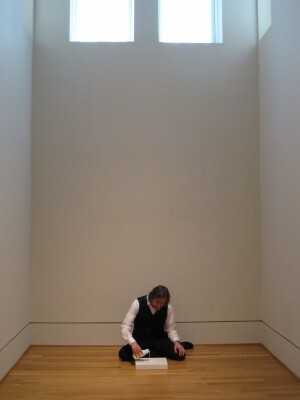 Wolfgang Laib’s Milkstone (1998-2001) was poured for the first time March 14, 2011, and was displayed here at the Phillips until March 25. Read about this work and Laib’s other explorations with natural materials in this article from Art in America by Carol Diehl. More photos of the pouring on Flickr. This entry was posted in Experiment Station and tagged Wolfgang Laib. Bookmark the permalink.